The members of the Ladies Book Club at Old Palm will spend part of the summer doing what they enjoy mostâreading. Three books will be discussed when the club resumes in the upcoming season, and the ladies are now immersed in reading these bestsellers. The first book is âThe Accidental Empress,â a love story by Allison Pataki. It begins in 1853, when the 15-year-old Duchess of Bavaria travels to the Habsburg Court with her older sister, who is betrothed to the young emperor. Shortly after her arrival at court, the young duchess finds herself in an unexpected dilemma: she has inadvertently fallen for and won the heart of her sisterâs intended groom. 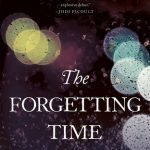 Next, the ladies will discuss âThe Forgetting Timeâ by Sharon Guskin. This riveting mystery is a testament to the profound connection between a child and parent. It involves a 4-year-old boy who claims he had lived another life and wants to go back to it because he wants his other mother. The New York Times Book Review called it âgripping, deft and moving.â âThe Black Calhounsâ will be the last book. Written by Gail Lumet Buckley, daughter of actress Lena Horne, it delves deep into her family history, detailing the experiences of an extraordinary African-American family from the Civil War to the Civil Rights era. The book begins with Buckleyâs great-great grandfather, a house slave who became a successful businessman in post-war Atlanta.